You are a 6502 fan. You like the idea of a modular approach to building retro hardware e.g. a modern S-100 bus for retro 8-bit computers. 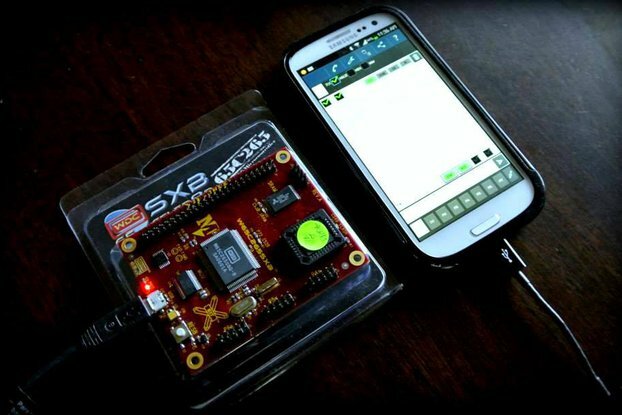 You have been looking at the RC2014 community from the outside but don't want to learn Z80 programming (and hardware). 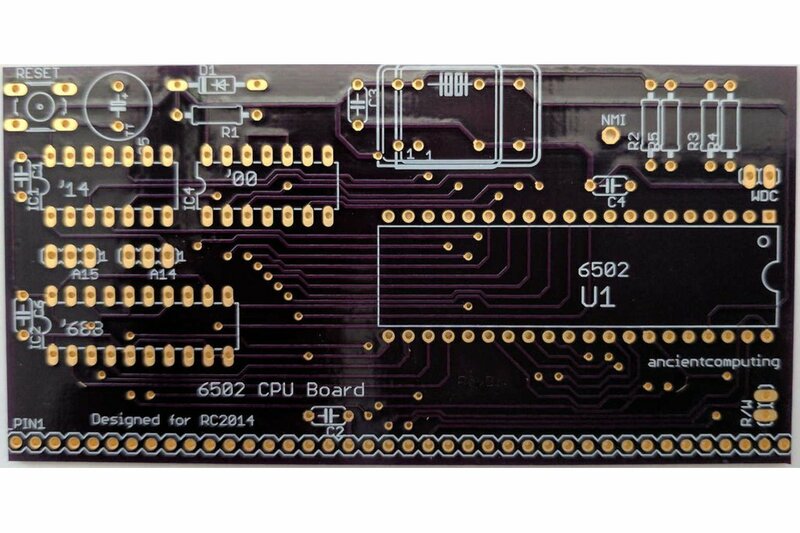 The 6502 CPU Board allows you to run a 6502 CPU on an RC2014 system. You swap out the Z80 processor board, make a few wiring tweaks on the ROM and Serial I/O boards, burn a new EPROM with a 6502 Monitor/Debugger and Enhanced BASIC and voila(!) you now have a 6502-based RC2014. 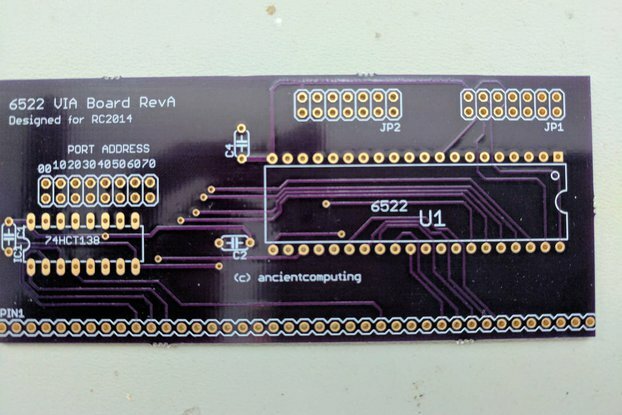 This new Revision B of the design brings out the R/W signal to pin 39 of the RC2014 bus for use with native 6502 peripherals like the 6522, 6551 or 6532. An A14 address jump allows you to invert the A14 signal so that you can run 48KB of RAM and 16KB of ROM with the RC2014 64KB RAM and Pageable ROM boards respectively. The design files can be found here. Source code for the Monitor/Debugger can be found here. A fork of Enhanced BASIC for the RC2014 is found here. Binary images can be found here. For more details on the detail and what RC2014 modules are compatible with the 6502 CPU board, check out my series of blog articles. The 6502 CPU Board is not a beginner project. You need to have at least intermediate soldering skills along with the tools, knowledge and ability to debug digital electronics circuitry and understand 6502 assembly language. Great way to get an expandable 6502 machine. 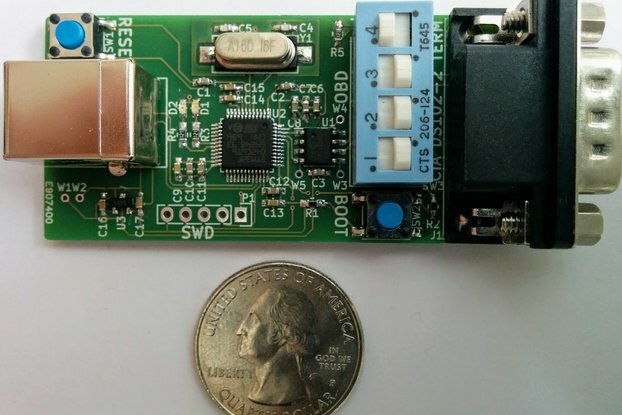 A great little board for turning your RC2014 into a 6502 machine. I originally bought the RC2014 just to fit this board. It works very well, although you may be switcing between the blog and github a fair amount to workout how to put it together, and get the monitor up and running.